휴, 베트남의 더 스칼렛 부티크 호텔 - Hostelworld.com에서 저렴한 호스텔과 숙박시설을 찾아보세요. 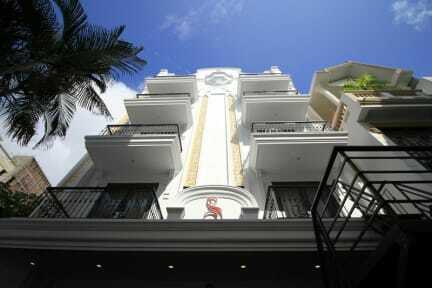 The Scarlett Boutique Hotel has 18 rooms with all of the modern amenities. Our Boutique Hotel Hue is small enough that we can provide special attention to guests, and make their stay as enjoyable as possible. Our Boutique room is perfect for honeymooners and couples who want their stay to be as romantic as possible. Our professional staff will exceed your expectations, providing leisure and business travelers with the best services, amenities, and facilities available anywhere.